The Massachusetts State Library is digitizing its collection of 200 real estate atlases through a grant from the Massachusetts Board of Library Commissioners. 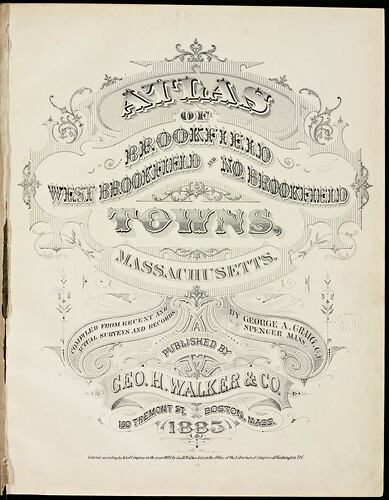 Among the collection is the Atlas of he Brookfields published by George H. Walker in 1885. Click here to view images (quick view via flickr).